Real-time Strategy Mobile Game #COMPASS、Goes to Tokyo Game Show 2018!! Goes to Tokyo Game Show 2018!! Tokyo—September 3, 2018—NHN PlayArt Corp. (Head Office: Minato-ku, Tokyo; President: Masaki Kato; hereinafter NHN PlayArt) and Dwango Co., Ltd. (Head Office: Chuo-ku, Tokyo; President: Takashi Araki; hereinafter Dwango) confirmed booth installation at Tokyo Game Show 2018 for #COMPASS—Combat Providence Analysis System (hereinafter #COMPASS), an action real-time strategy game for iOS/Android. Tokyo Game Show 2018 will be held at Makuhari Messe between Sep. 20-23. There will be many events fun for all visitors, stalls selling goodies and a whole lot more! The organizers are looking forward to receiving many visitors. *Please visit the special website or the official Twitter account for further updates. At the #COMPASS booth, figurines and other novelty gifts will be given to visitors meeting necessary conditions. One novelty gift to be given per visitor on a first-come-first-served basis. *Give-away will end when stock runs out. *#COMPASS goodies can be purchased at International Exhibition ! 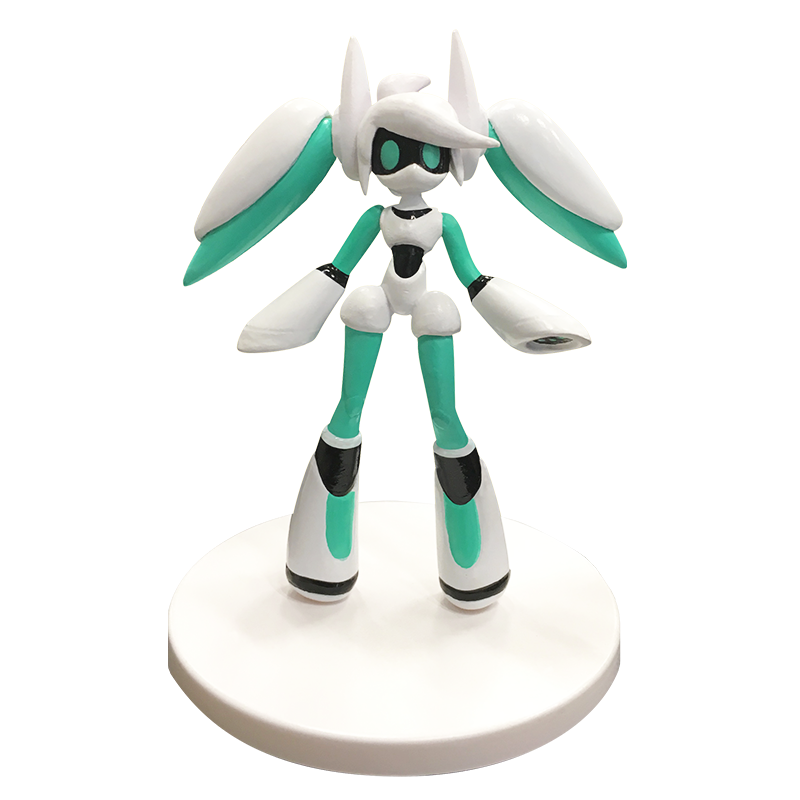 *Image of figurine under development. Team Up With Live Commentators, Dancers, Cosplayers, Voice Actors and Others and Have Fun Playing #COMPASS On-Site! Top-Ranking Teams from Official Competitions Held This Year Gather to Prove Which Team Is 2018’s Strongest! 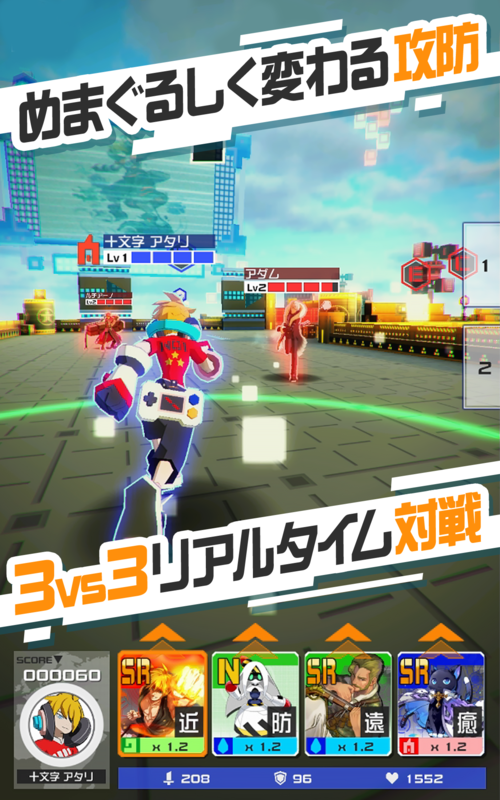 Top-ranking teams from Famitsu COMPASS Cup, Lobi #COMPASS Battle Festival and JCG x #COMPASS Saturday Battle League will battle at Tokyo Game Show for the title of the strongest #COMPASS team of 2018! DJ Live Performance With Songs from #COMPASS! Sing, Dance and Share the Excitement Together! Cosplayers Dressed as #COMPASS Characters Gather, Providing Rare and Unique Photography Opportunities! Latest Updates Will Be Announced! Wait and See at the Booth! Open to businesses only between 10 am-5 pm on Thursday, Sep. 20 and Friday, Sep. 21, 2018. Open to the public between 10 am-5 pm on Saturday, Sep. 22 and Sunday, Sep. 23, 2018. Co-host: Nikkei Business Publications, Inc. 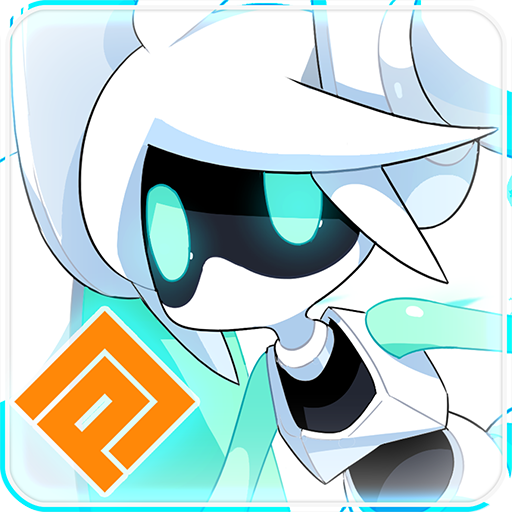 In this project, NHN PlayArt works on the game system development and operation, while Dwango works on IP creation with creators in the Niconico community. Niconico is a video sharing service owned by Dwango. NHN PlayArt and Dwango collaborate, bringing their strengths together and are involved in the game planning, development, design, music production and live broadcasting. #COMPASS*—Combat Providence Analysis System is a real-time online strategy game in which three players team up and battle against other teams to capture points placed on a virtual map. One battle lasts for three minutes. 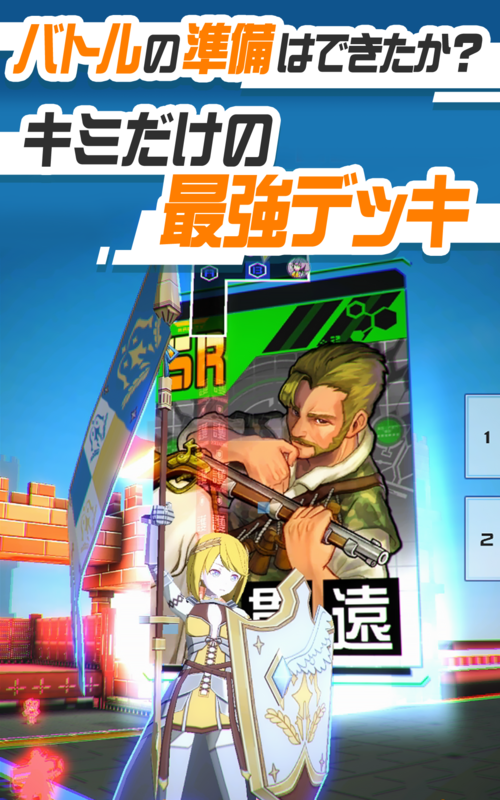 In addition, to prepare for battles, players can collect skill cards that allow a variety of strategies through different card combinations and arm themselves with the strongest deck of cards. This is a PvP game of an entirely new genre, in which the elements of action games, strategy games and card games are all condensed and packed into three-minute-long battles. *COMPASS stands for Combat Providence Analysis System. #COMPASS is a game set in a fictious SNS world, where players communicate through battles. 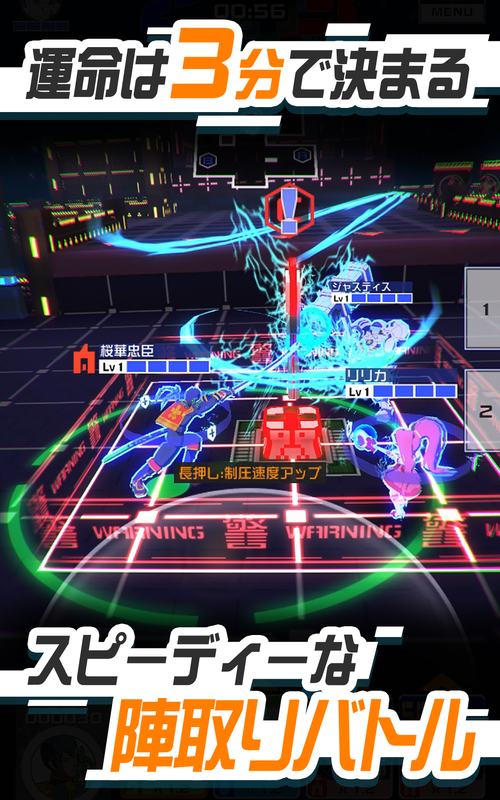 It functions like a real SNS and not only allows players to battle but also provides a platform for them to discuss strategies and exchange information on game competitions/events. Development, planning and operation: NHN PlayArt Corp. and Dwango Co., Ltd.
*Apple and the Apple logo are trademarks of Apple Inc., registered in the U.S. and other countries. App Store is a trademark of Apple Inc.
*Google Play and the Google Play logo are trademarks of Google LLC. *Amazon、Amazon.co.jp and the Amazon.co.jp logo are trademarks of Amazon.com, Inc., or its affiliates. *All company names and product names in this document are registered trademarks or trademarks of each company. *Information in this document is as of the date of release. Changes may take place without prior announcement.